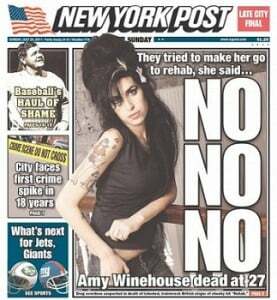 The death of Amy Winehouse in June 2011 was quite possibly one of the most simultaneously shocking and expected headlines of the decade. The media’s portrayal of Amy in the year leading up to her death removed her autonomy both as a person and an artist, transforming her into a mere news story. Asif Kapadia’s documentary details Amy’s life from her adolescence up to her death, giving Amy back the humanity that was so lacking in the media’s portrayal of her, instead providing the viewer with a heart-breaking account of a young woman struggling with mental illness in the public eye. The film opens with a home video of an adolescent Amy singing a Marilyn Monroe style rendition of happy birthday. It sets the scene for what will develop into an intensely personal exploration of Amy’s transition from a seemingly happy North London teenager, into a troubled global star. The first thing that strikes you about the opening is her voice, which still sounds as unique and talented on a home video as it does on a recorded album. Kapadia ensures that the focus is on Amy as an artist, rather than a celebrity, and this is expertly conveyed through the fusion between her music and the voiceovers throughout the film. These voiceovers – spoken by Amy’s friends and family – are not accompanied by visual recordings of them speaking. Instead, they are played over images or videos of Amy. Initially this was quite infuriating; as a viewer you want a face to match the voice, and it seemed a little less of a personal account without that. 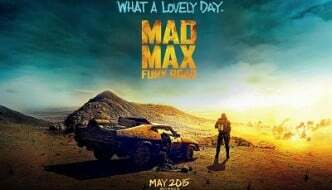 However, as the film progressed, I found myself able to distinguish between the voices and recognise the fluctuations in emotional tone that a video might actually distract from. Perhaps the most powerful aspect of this documentary are the moments which allow Amy’s personality to transcend the camera lens and connect with the viewers in the cinema. One particular video, filmed by one of Amy’s friends, shows the singer giving a humorous tour of her apartment. It involves a mock Italian accent and a fabricated scenario in which she plays a house maid. Not only does the clip provide a moment of laughter, in what is otherwise a fairly sombre film, but it also conveys a healthy, happy Amy who was able to have fun with her friends; a normality which was removed by the media’s focus on the darker aspects of her life. Kapadia’s expertly chosen footage showing Amy’s private life highlights how she was both extraordinary and yet, at the same time, very much real. Amongst the more joyful videos in the documentary, there are – of course – the unavoidable moments which display Amy’s struggle with drugs and mental health difficulties. Every viewer has probably seen a similar image of Amy when she was most ill in at least one newspaper. 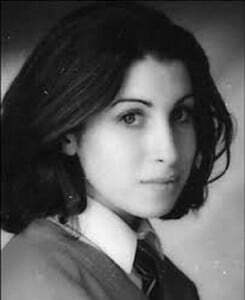 However, the way Kapadia expertly blends these images and videos with a images of a youthful and healthy Amy offers a more three-dimensional presentation of her. There’s a moment in the documentary where Kapadia shows the opposing views and portrayals of Amy. He uses a series of clips depicting the way various comedians used Amy’s battle with drugs and mental illness to create another joke for their shows. Admittedly, comedy is often a site for controversy, and one could argue that a lot of opinions voiced there might not be heard elsewhere. However, that does not mean that they are expressed in a vacuum, a point which Kapadia’s documentary highlights; why is it okay to turn someone who is clearly suffering from a mental health difficulty into a punch line? I think this question is just as relevant to the media’s treatment of mental health in general, as well as its portrayal of Amy. I could write pages and pages on this documentary, but the best way for someone to experience the emotional reality that Kapadia creates is to go and see it. 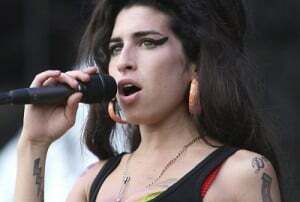 Amy is a rare and beautifully crafted piece of film which offers Winehouse the respect and integrity that she deserves.